...I realized there are a couple of really pretty views right now, areas that don't contain huge piles of mulch or carpets of weeds, or just appear empty because things haven't started rolling there yet. 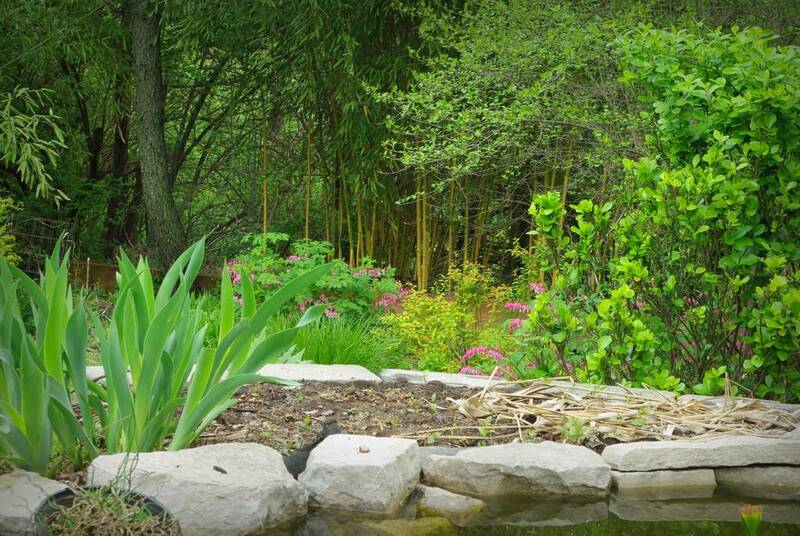 The first is this view of the 'Spectabilis' bamboo (Phyllostachys auerosulcata 'Spectabilis'), with bleeding hearts (Dicentra spectabilis), and the unknown iris at the pond's edge in the foreground. 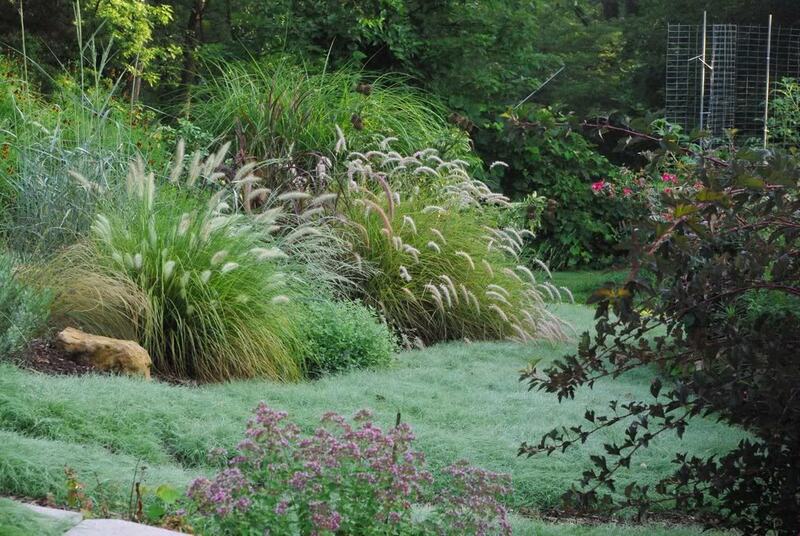 I can't get this view later in the season as the area behind the pond (next to the iris) will be planted with elephant ears, blocking this view. 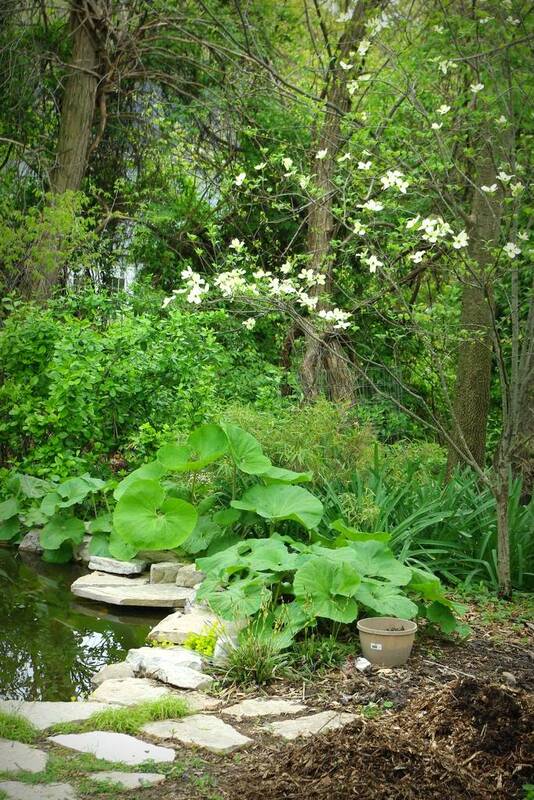 The large-leaved butterbur is fantastic here, and this is the time of year when the dogwood really contributes. This view will be even nicer in the future as there's a young redbud back there will start blooming. Sorry for the short post, but pretty much every other view in my garden has something "wrong" with it right now -- hopefully that will be resolved in the next couple of weeks. Ah, there's so much potential in spring -- creating views like this is what keeps me working so hard! Love the Dicentra against the bamboo trunks...really nice...and yes, that last image is AWESOME! 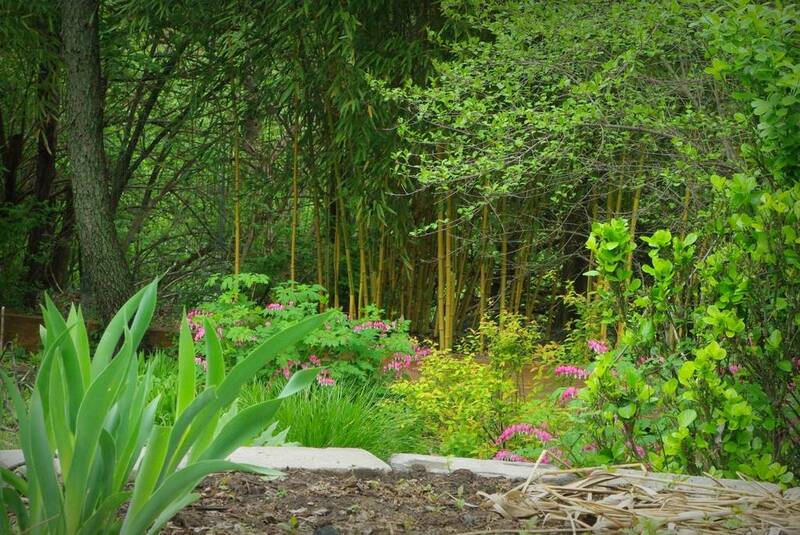 I love the dicentra and the bamboo as well. And the dogwood! The epitome of spring. Here spring is over as our temperatures are climbing into the nineties.